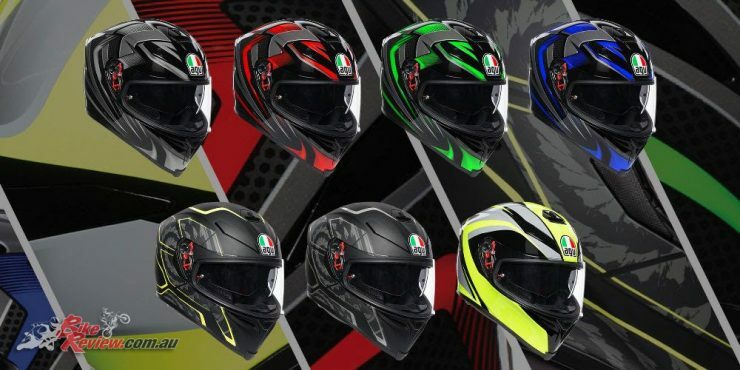 Link International has announced the K-5 S premium sports helmet, featuring AGV’s “Extreme Standards” safety features, for 2019 the K-5 S is available in a huge range of new colour-ways. With the outer shell manufactured from Carbon-Fibreglass, in two sizes to optimise comfort, stability and quietness, the K-5 S features racetrack bred aerodynamics and venting, along with AGV’s patented XQRS quick release visor system and a removable tinted internal visor. 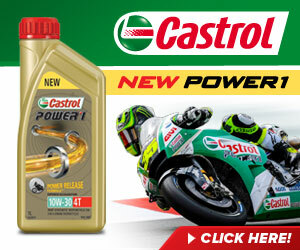 New to the 2019 K-5 S Range are the Tornado, Hurricane and Typhoon graphics. The K-5 S Tornado features a sleek, stealth looking graphic with a matt finish that utilises sharp lines to set off the base swirl graphic. The Tornado is available in a stealth black/grey design or a black/yellow design for the more audacious amongst us. The K-5 S Tornado retails for $549 RRP. The K-5 S Hurricane is available in four colourways offering a cheerful collection of helmets that always look the part. 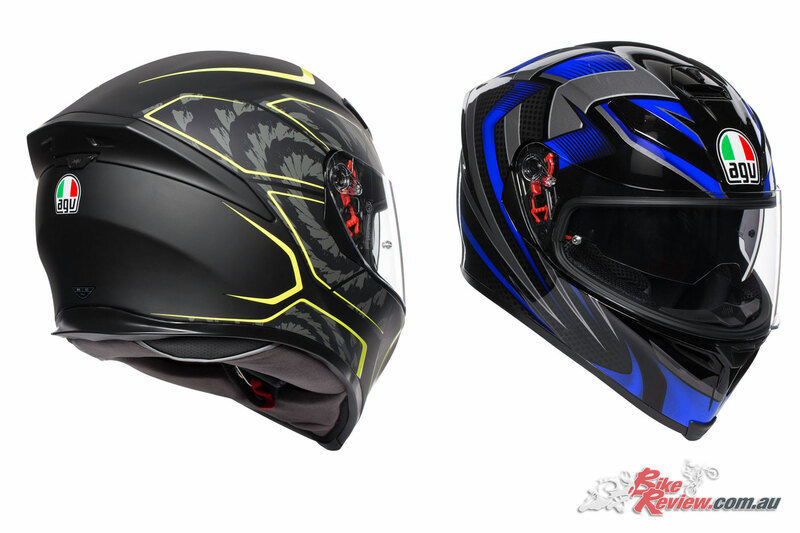 Available in Black/Green; Black/Silver; Black/Red and Black/Blue, all the Hurricane helmets feature a common design focus that really stands out on the road. The K-5 S Hurricane retails for $549 RRP. The K-5 S Typhoon is a bright, modern and inspired helmet that features a bright yellow graphic which will never go unnoticed. The fluoro combines beautifully with subtle greys and blacks, creating a helmet that’s easy to see yet easy on the eye. The K-5 S Typhoon retails for $549 RRP. 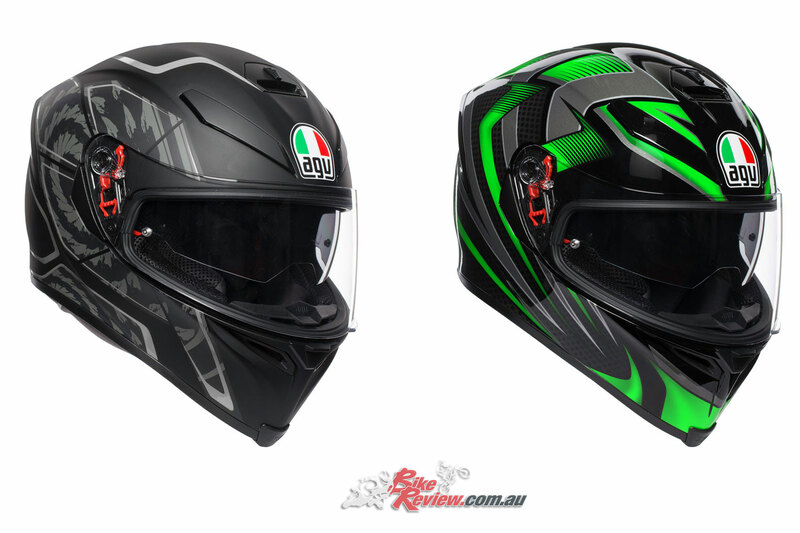 AGV’s latest version of this premium sport helmet now features a new construction for the inner liner, designed with high-performance fabrics and with no stitching in sensitive areas, making for an extremely comfortable fit. 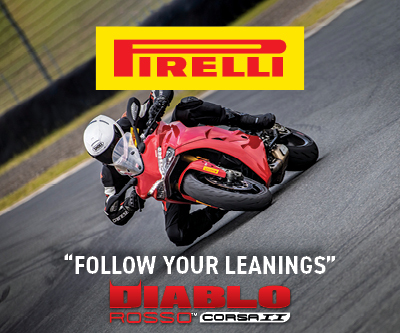 The lightweight shell is made from a carbon-fiberglass mix, while stability and aerodynamic performance are maximized thanks to an integrated spoiler. The Integrated Ventilation System (IVS) has vents that are hollowed into the shell, and there’s also an internal drop-down sun visor, a removable nose guard and a new wind protector that keeps noise to a minimum. 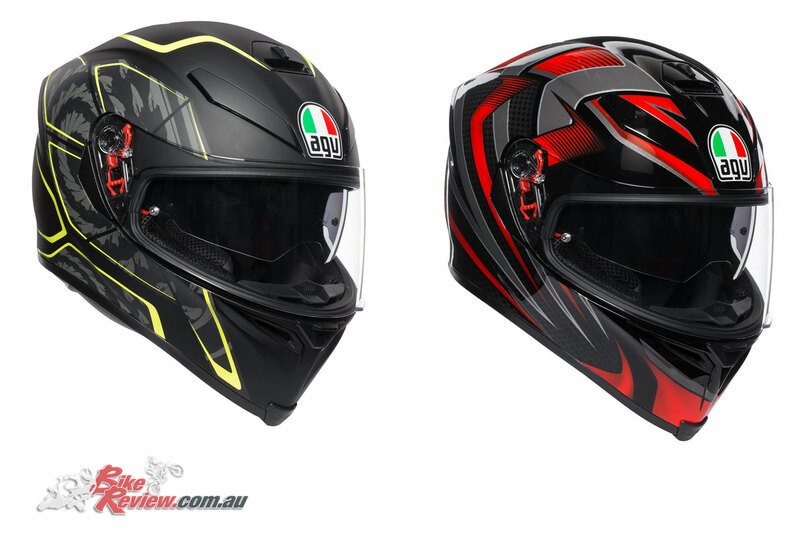 The new 2019 AGV K-5 S range is available now at AGV Stockists Australia-wide. 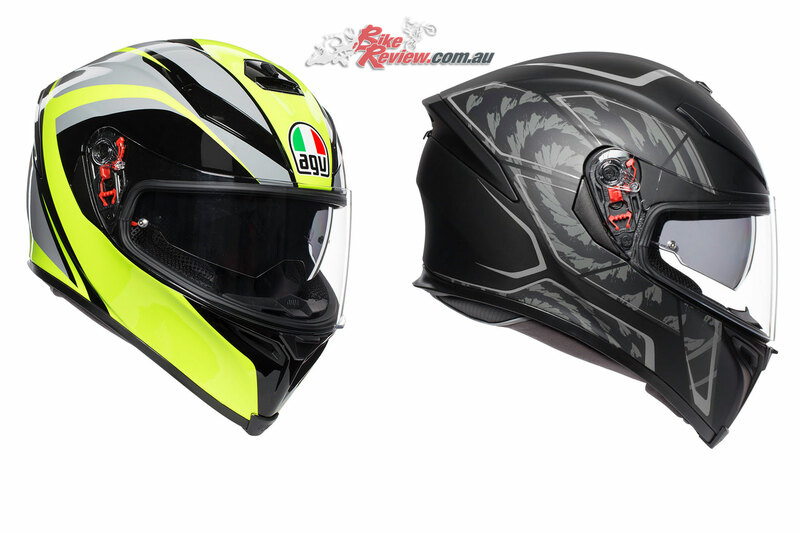 To find you nearest AGV motorcycle store and check out more images of the helmets visit agvhelmets.com.au.